The traditional Iranian theatre, which took root about three thousand years ago, has been influenced throughout history by various political leaders and movements, which, in turn, led to cultural transitions in Iran. The history of Persia has undergone many changes, socially and politically, over three millennia that have affected the lives and perspectives of Persians in Iran and in the Diaspora. Performance art, because of its nature as a reflection of social consciousness, has been vulnerable to the hegemony of different cultures and religions as their growth and change have affected life in Persia. 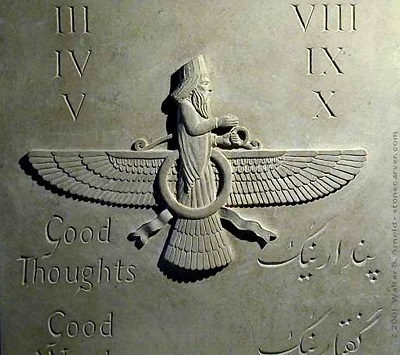 Monotheistic religions such as Zoroastrianism and Islam as they have existed in Persia were not flexible enough to accept theatre in the ways that polytheistic cultures had in other ancient civilizations such as those in Greece and India. In monotheism —as it exists in Zoroastrianism and Islam— the living incarnation of God is not acceptable or possible, which forces a rejection of the imagined supernatural image. However, in polytheism, the image of gods is more humane and the gods’ relationship to and interaction with humanity demonstrates “performs” godliness and human and humanity as godly. In this model, my argument is that polytheism was the source material and, to some extent, the inspiration for dance, music, and theatre, while monotheistic cultures tended to block, censor, and often proscribe these activities. Cultural development under polytheism led to the creation of great amphitheatres and to the establishment of conventions that celebrated the human link, as it were, and reinforced the dominant themes in religious culture. Even the Zoroastrian priests —who expressed belief through a positive, uplifting message— forbade performance due to the magical power assumed to be associated with this type of expression. As a result of these challenges to the culture of performance, the development of theatrical traditions expanded in more elliptical fashion and took longer to attain popular status. Non-religious mythology gradually gave way to myths based on religious constructs that propagated the stories of the sacrifice and martyrdom of saints. As religious performance became better known among the populace, a need arose for a larger number of creative works to satisfy a diversifying pool of audiences and artists seeking the new. The monitoring of performance by religious authorities gradually decreased due to two important factors: the growing popularity of performance and the relative decline of Zoroastrianism. The so-called “common people” became more of a driving force in determining the development of what we now think of as various branches of the art of theatre, which no longer hid behind the shell of religious significance. In general, regimes in Iran may be divided into two categories. There have been regimes that sought to strengthen religion and have sanctioned support for the arts and artists to do so. In other cases, there have been dictatorships, which appear to owe nothing to anyone and consequently have no need to build popular support through assistance to the arts. The power of theatre is in its ability to build public support and rely on the innovation of creative artists in order to survive through eras when regimes are not sympathetic, or are even hostile to the art form. Therefore, in thinking about the influences of the “new,” I considered the impact on traditional Iranian theatre through two historical categories: Before Islam and After Islam. In early pre-Islamic centuries —by which I mean in the first and second millennia before the time of Christianity— religion, social organization, and class in Persia were constructed by the needs of ancient dynasties. These constructs have more or less continued to the present time. Power and privilege were the purview of aristocrats, religious leaders and the warrior class. Science was the realm of Zoroastrian priests, and its study was not accessible to ordinary people. There were no opportunities for talented members of the under-classes to develop and rise to the gentry class. Everything was hereditary: you were born fortunate or unfortunate and that where you remained. Regimes were constantly at war and the populace grew weary of these conflicts, of dictatorship, of financial hard times and of turbulent political situations. It is no wonder that they opened the gates of Iran for Muslim Arabs, who overran the Sassanid Empire and conquered Iran in the sixth century of the Common Era. Although all sorts of art and artists were banned, artists continued to innovate in order to find ways to execute their conceptions. It is important to say that Islam initially made significant reformations in Iranian social relationships: aristocratic classifications of the past were broken, freed the proletariat from a kind of slavery, and established a common language and alphabets to create a stronger connection within Islamic countries. Expansion of freer trade among the Muslim countries in three continents, shuttling ships and caravan’s among Persian, Chinese, Indian and Mediterranean oceans and fields caused a redistribution of wealth and culture that had a specific and profound impact on Iran, which was a gateway of sorts, and one of the most important passages among the ancient countries. It might be said that religions, in general, translate and transform governmental interests to rule or discipline society, especially as these elements struggle for power within and among countries. Within a few decades of the establishment of Islam in Iran, caliphs began to duplicate the earlier Iranian courtiers, collecting wealth and decorating their palaces. As a result, luxury and hedonism were revived among the nouveaux riches, and Iranian aristocrats who sought another opportunity to attain their former glory. Slavery shifted from past to present while wearing a new mask as land ownership controlled the peasantry, exploiters grew in power, and a large percentage of the general populace lived with very little. Knowledge and culture were not achievable by underclass and the idea of forbidden art was aimed at the common people. Leaders forbade the consumption of art and under this pressure; artistic interests became and remained a complex obsession. Music and singing were forbidden unless for reading the holy book. Only poetry remained immune because it was initially more similar to the elegies of prophets and, thus, literature slightly expanded its roots. Social arts such as theatre, which were related to the general public were destroyed or functioned through religious clans, through traditional blackface wandering performers, or became more isolated as individual activity and lost their initial impulse. With the rise of Shi’a as the official state religion around the fifteenth century in Safavid dynasty, a kind of religious and political stability emerged in Iran. This was the beginning of a time that religious traditional theatre was officially accepted and simultaneously carried with it the non-religious theatre on the periphery. The regime damned the reflection of these aspirations and eliminated any critical voice, which prevented the expansion of non-religious theatre. Politics, social mores, and religion built metaphoric walls of deprivation around the theatre and what can an artist say if these realms are off-limits? In the first two centuries after the Muslim conquest of Iran, performance remained a focus of the common people in similar fashion to the pre-Islamic era. Several scientist-philosophers such as Farabi, Avicenna (Abu-Ali Sina), and Ibn Rushd introduced the Poetics of Aristotle to scholars, but there was no connection made to folkloric performance. The ritualized plays and ceremonies from pre-Islamic times continued or evolved slightly over time to adapt to the socio-cultural demand. It was impossible for the populace and artists to immediately forget their beliefs, culture, and history and to obey the new rules with closed eyes and open hearts. The need for the comfort of their cultural roots was a powerful force at a time when many may have felt pawns in the new games of courtiers’ wars. The Safavid (circa 1500–1736) provided unity and independence to Iranians following a long period of anarchy and chaos. The evolution of Ta’zyeh (the most important Iranian traditional performances) for instance, was one of the results of this political and religious independence. Shabih Khani, Shabih Gardani, or Ta’zyeh is essentially based on the stories of the Prophet Muhammad and the lives of the Imams, particularly the tragedy that befell Imam Hussein and his troops at Karbala in 682. To assist the Shia path and to help integrate Iranian culture, Safavid supported poetry, religious architecture, and religious performance. 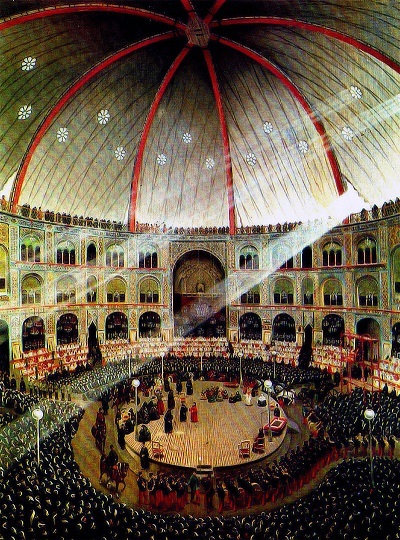 In the Qajar dynasty that followed (1795–1925) the lower classes viewed Ta’zyeh as a type of religious phenomenon while the upper classes supported the work as an entertainment or cultural enhancement. It was with Naser ad-din Shah Qajar, who extended his protection to this particular type of performance, that Ta’zyeh reached its peak of development as spectacle. 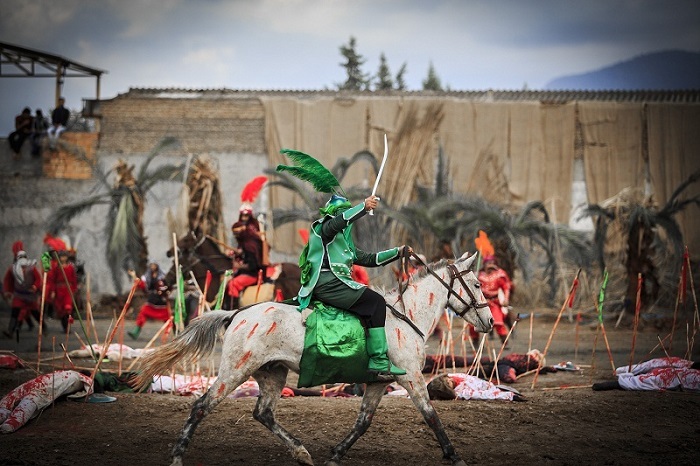 According to existing documents, in the first ten days of Muharram—Iranian Shi’a Muslims observe and honor Muharram as the month that martyred Hussein-ibn-Ali, in the Battle of Karbala—in Naser ad-din Shah’s time nearly three hundred Ta’zyeh were shown in permanent and temporary theatres, called Tekyeh and Hosseinyeh. Tekyeh Dowlat was the most famous of all the Ta’zyeh performance spaces, for the mourning of Muharram. It had capacity for more than 4,000 people, was the largest theatre in the history of Iran, and was built by the order of Naserl ad-din Shah in 1868 just southeast of the famed Golestan Palace. The rotunda of Tekyeh Dowlat was four stories tall. The structure of the building featured a central playing space that was used for the main performance. There was also room for the pageantry of warriors on horseback, battle scenes, and contests. Women and children sat on the floor surrounding the playing area while men were seated in booths or boxes on different levels of the theatre. Almost all Tekyeh buildings had the same structure. There were, however, some temporary Tekyeh spaces, owned by local people that were furnished with items from their homes. The mourning experience for the Karbala tragedy created a communal feeling that forged a spiritual bond that linked all social classes. Lower and upper classes sat near one another, and all religions —Christians, Jews, Zoroastrians— were welcome to this event. After the time of Naser ad-din Shah, who was assassinated in 1896, the importance and glory of Ta’zyeh gradually lost support from the court and declined. Members of the community sought to keep it alive but there was no notable progress in the form. During Reza Shah Pahlavi’s time all types of religious performances including Ta’zyeh were forbidden and in 1948 Tekyeh Dowlat was destroyed, which was a great cultural loss to Iran. However, after Reza Shah’s abdication and the end of Mohammad Reza Shah’s Pahlavi dynasty, Ta’zyeh, which had lost its prior glory returned to the cities in a moment of cultural rebirth but theatrical tastes had changed and the populace did not accept it as they might have done. The rise of the intelligentsia and the desire for rapid modernization of the latter Pahlavi had an impact in the dissolution of Ta’zyeh and other types of Traditional Theatres. Since the 1950s, traditional forms gradually gave way to modern performance modes. Non-Iranian plays became more popular and Iranian dramas adopted western style and structure as theatre found new ways into the lives of the Iranian intelligentsia. Some of the leading theatre practitioners in this period of time had studied in Europe and were concerned with socio-political enlightenment rather than technical innovation. These artists created quasi-realistic western forms that also helped them to avoid the challenges of the religious fringe—who rejected all minstrel’s traditional performances except religious ones. In the mid-1950s, however, those leaders initiated the National Arts Group (1956–73) and publicized Iranian theatrical tradition by refashioning indigenous dramatic forms, which might be described as “avant-garde folkloric theatre.” These new theatrical pioneers wrote and directed plays that combined indigenous forms with Iranian mystical, mythic, and folk perspectives to reflect on contemporary socio-political issues. Academies and colleges were established with more or less the same intentions. 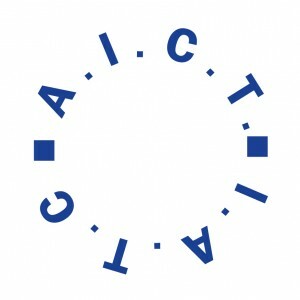 The professoriat introduced the traditional theatre and modern Iranian theatre to European artists. The fascination of some European artists as Jerzy Grotowski, Peter Brook, and Tadeusz Kantor, with Iranian and other non-western styles, functioned as a wakeup call for those who ridiculed the refashioning of indigenous forms in modern theatre. This also pushed Iranian artists toward more creative use of European, Asian, and Iranian styles and provided templates for future theatre practitioners. When the Islamic revolution occurred in 1979, however, a new momentum arose for theatre in Iran. Driving the culture toward Islamization necessitated a complete overhaul of all artistic activities. In the first years of the new regime, just those theatres that served revolutionary ideals, or encouraged religious devotions, were approved. The new government had inherited an expansive base for art-related activities, and intended to make the system serve its vision. The Ministry of Arts and Culture controlled all artistic and cultural activities, and nothing could happen without its official permission. Gradually traditional performances that were related to socio-political criticism—accompanied with cheerful factors like dance and music—were extinguished. Official performances focused on portraying the evils of the Pahlavi era, on the crimes of imperialism, and on the heroism of those who fought in the Iran-Iraq war (1980–88). Ultimately, the establishment of arts festivals celebrating the anniversary of the revolution saw an increase in the number of artistic plays. 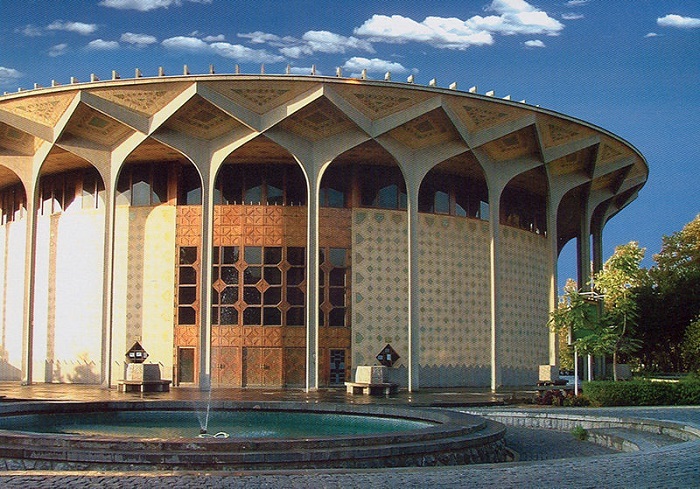 With the end of the war in 1988, came a period of stability that led to the foundation of several national and a few international arts festivals such as the Fadjr International Theatre Festival, which once more made theatre a vehicle of intellectual and artistic cross-fertilization in the country. This post-war period provided a more hospitable atmosphere for several leading practitioners whose experiments with Iranian and non-Iranian structures and subjects resulted in a new era of regeneration for Iranian theatre. Between 1979 and 1990 the number of performances more than doubled from 754 to 1,782 in a year. By the 1990s, came a period of steady growth of Iranian theatre, which reached its apex in the early 2000s, and has since fluctuated depending on the intensity of censorship. During the last few years, due to the regular closure of well-received plays under the pretext of accommodating different troupes in a fair system, some have begun to promote the idea of staging their authorized plays in unsubsidized, nongovernmental spaces. The bulk of Iranian performances, however, remained dependent on state support. In such an atmosphere, it is no wonder that little of the traditional theatre could survive except those such as Ta’zyeh, which related Imam Hossein’s rituals and Shiite historiography in the service of mythologizing approved narratives. There were many who hoped to continue developing the pre-revolutionary rebirth of traditional theatre practices. Some artists, such as Bahram Beyza’i, were undeterred and used challenges as inspiration in the creation of heroic counter-narratives. In Beyza’i’s work, those who had been historically victimized by radical elements in Iran’s religious and political establishments were depicted as sacrificial heroes. Nowadays, what remains from these traditional performances are a few documents, a few memories, and they seem about to disappear soon. In a country where politics often dominates art and culture, we cannot expect otherwise. Beiza’i, Bahram. A Study on Iranian Theatre, in Farsi (Tehran: Roshangaran and Women Studies Publishing, 2000). Print. Benjamin, Samuel Greene Wheeler. Persia and the Persians (London: J. Murray, 1887). Print. Browne, Edward Granville. A Literary History of Persia, Vol. III (London: T.F. Unwin, 1927). Print. Emami, Iraj. “The Evolution of Traditional Theatre and the Development of Modern Theatre in Iran,” Ph.D. thesis submitted to the Faculty of Arts, University of Edinburgh, September 1987. Print. Talajooy, Saeed. “Indigenous Performing Traditions in Post-Revolutionary Iranian,” Iranian Studies, 44.4, July 2011. Print. *Katayoun H. Salmasi is an Iranian critic, playwright and director living in the United States. 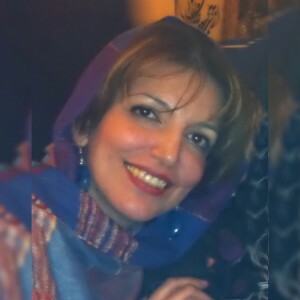 Before moving to the USA in 2012, Salmasi taught for eleven years as a lecturer at Azad University of Tehran and Art University of Tehran in theatre history, criticism, playwriting, and dramatic literature. In addition to her teaching duties, Salmasi has translated works by Edward Albee, August Strindberg, Billy Wilder, Wendy Wasserstein, and Joyce Carol Oates into dramatic works for the Iranian stage. As a director, she has staged nine of her own plays as well as works by Wasserstein (A Man in a Case), Chekhov (The Proposal), Goethe (Faust), and Euripides (Medea). Salmasi’s work as a cultural critic has appeared in many publications including Javan, Afarinesh, Hayat e No, Neda, Aftab, Resalat, Sahne Review, Namayesh Review, and the international journal Critical Stages. She is a former vice president of the Iran Theatre Critics Association, served five years as an executive committee member of the International Association of Theatre Critics, and managed international events for the Fadjr International Theatre Festival. 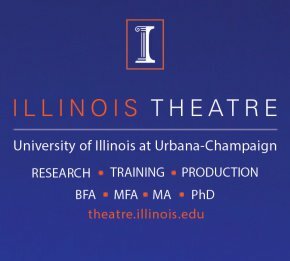 For the past three years, she has advised student members of the Iranian Cultural Alliance at the University of Illinois at Urbana–Champaign while leading a weekly workshop on drama and theatre. She has also organized local cultural events related to the annual celebration of Nourouz. Salmasi recently moderated a discussion of Iranian director Jafar Panahi’s, Taxi at the Art Theatre; spoke on “Traditional Theatre in Iran” for the Center for South Asian and Middle Eastern Studies (CSAMES) at the University of Illinois; and directed acclaimed Persian-language productions of the two Iranian dramas by Bahram Beyza’i, Arash, presented in the Illini Union (May 2016), and Death of Yazdgerd, in the Illinois Stock Pavilion (December 2016).